SAIIE understands college swimming can be highly competitive. If you want to study abroad but don’t want to fall behind athletically then come to Sevilla! 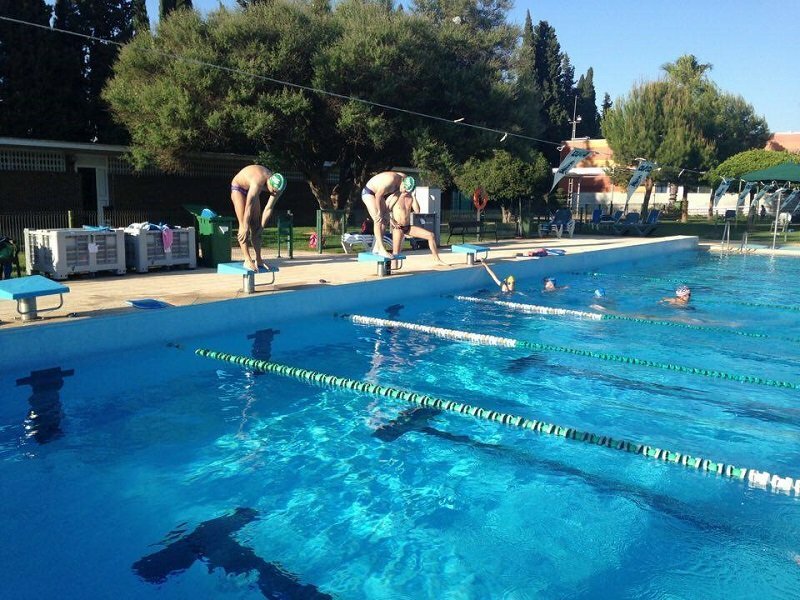 At SAIIE we work with the impressive local swimming club at Club Naútico Sevilla. 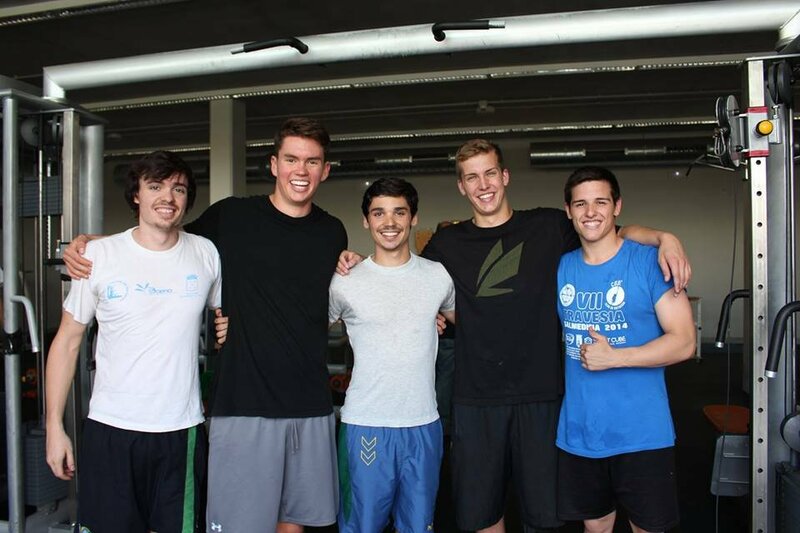 College swimmers train with the Sevillian swim team while earning college credit! The prestigious swim team at Club Naútico Sevilla was founded in 1952. Working with swimmers of all levels they have produced an impressive amount of professional international swimmers, including Paralympic athletes. Maite Trueba, Enrique Veiga, and Marta Gómez Battelli are a few of these athletes who have competed in international competitions and have prospered from their time spent at Club Naútico Sevilla. Students have the option to participate in either sessions I or II, as well as both sessions while taking a minimum of 3-4 credits per session. We offer courses in Spanish language, Spanish culture, and Liberal Arts during our summer terms. Students in this program will be training 5-6 days a week. Students will also have the opportunity to scrimmage along with their Spanish counterparts in place of formal competitions. View academic program details here. Swimming in Spain is a unique opportunity not many other swimmers will have. Training with Spanish swimmers in a prestigious Club rewards you by helping you perfect your technique as well as gain a fresh perspective in your sport. 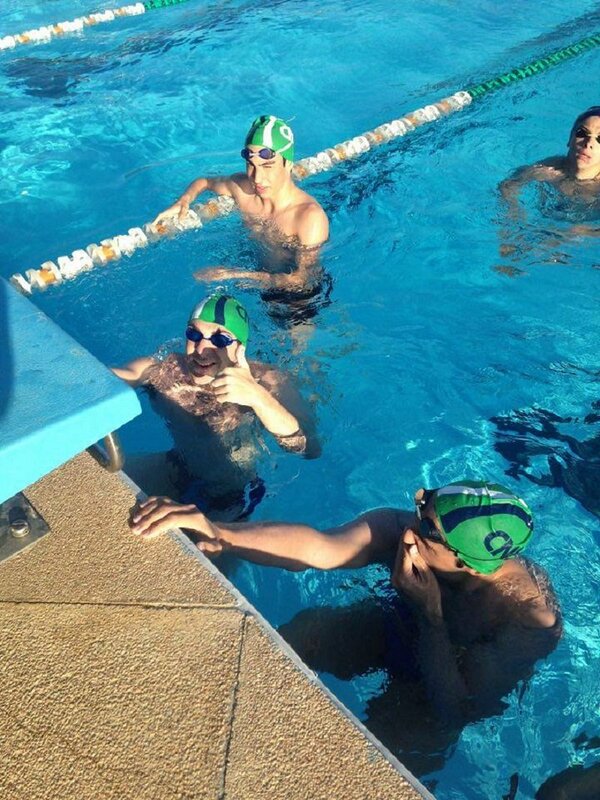 Swimming in Sevilla will also allow you to practice your Spanish since many of your teammates will be natives. Germán Monterrubio is the Technical Director of Swimming at Club Naútico Sevilla and has had lots of experience in the field of coaching. He was the Head Swim Coach at the Escuela Nacional de Entrenadores RFEN back in 2005 and has an MA in High Performance Sports from the University of Pablo de Olavide in Sevilla. He also has a long history of jobs in the area of coaching and is the Founder and CEO of the agency Fermento Urbano – Freestyle Sports Consulting S. L. that specialises in Sports Sciences and Technology for High Performance in Freestyle Sports, as well as Events Managing. He also studied Sport Management & Physical Education at the University of Jyväskylä in Finland where he picked up some Finnish. Monterrubio’s experiences are endless, and you can find out more information about the Club Naútico coach by visiting his LinkedIn account here . 5 weekly training sessions with "Club Náutico"
Students must be swimming on their varsity team back at their home university. Students must meet a certain result in their specialized discipline. If you do not see your question listed here please contact us. Do you have college sports in Spain? No, in Spain we do not have college sports. All competitions are run by Clubs which are not the same as in the US. When do the training sessions take place? Trainings will be held in the evenings. Trainings will be 2 hours long. How many training sessions take place per week? There will be 5-6 training sessions per week. How many weeks of training will I do? In each summer session you will complete 4 weeks of training. If you decide to do both summer sessions you will complete a total of 6 weeks of training. Are the trainings held in Spanish? Yes. You will be training with Spaniards on a Spanish team with Spanish coaches. This is an important aspect of the cultural immersion part of the program; through the swimming program you will be surrounded in a constant Spanish speaking environment and this will give you a great opportunity to improve your Spanish. How many American participants will there be on a team? In each summer session there will be a maximum of 5 swimmers per team. What age are swimmers on the team? The swimmers are between 18 and 30 years old. Is transportation to trainings included in the total program cost? How much money will I spend on transportation to trainings? $20 each summer session (aprox.). How far are the training facilities from the school? All training facilities are no further than a 20 minute bus ride away. Will I be participating in any races? You will be participating in a race with your fellow teammates. Am I, as a college student, breaking any NCAA rules or regulations by participating on this swimming program? No, you are not. The NCAA does not have any jurisdiction in Spain and therefore their rules do not apply in Spain. "They were all extremely nice and hardworking and were glad to help me understand the practices and were always glad to stay after practice and help me with my spanish speaking skills." I chose to come to this trip because the summer before I took part in a study abroad trip to a different city in Spain. Having enjoyed that trip immensely, I decided that I wanted to participate in another study abroad trip to a different part of Spain. Being a competitive swimmer for my university’s varsity swim team, it was not ideal to be out of the water for 4-5 consecutive weeks. For me, I didn’t think I would do another study abroad because I did not want to miss an entire month of training over the summer again. However, when I discovered the program that SAIIE offered contained everything my previous study abroad had offered and also had the swimming component, I decided it would be a great program in which to participate. When I arrived in Seville, I could immediately tell that this city was wonderful. All the people of Seville are extremely nice and welcoming and were glad to help me get used to the city. My first day in Seville, I swam my first practice at Club Nautico. I was a little bit nervous going my first day, but I quickly realized that the training and swimming with Nautico wasn’t too hard to get used to and I quickly became friends with some of the other swimmers. They were all extremely nice and hardworking and were glad to help me understand the practices and were always glad to stay after practice and help me with my spanish speaking skills. The swimming is at a high level and is great training for any committed college athlete. In addition to the swimming, SAIIE offers out of the classroom activities everyday and will always keep you engaged. One of the highlights of this trip was to be a part of the soccer celebration for Fútbol Club Sevilla. A massive celebration in the city center in which the team came through the city on the top of a bus and all the fans were cheering for them. This program offers everything that an ordinary study abroad would offer while also offering the incredible opportunity of keeping your training in mind while experiencing your sport in a different country and learning how it is viewed and done in Spain. "I can’t really say anything that I didn’t like about this experience!" The cultural experience. Being able to train in a different country and speak the native language with the swimmers and get to know them was my favorite part. I made friends with the swimmers and was sad to say goodbye to them when the session ended. They were all so friendly and made an effort to talk to me. I can’t really say anything that I didn’t like about this experience! 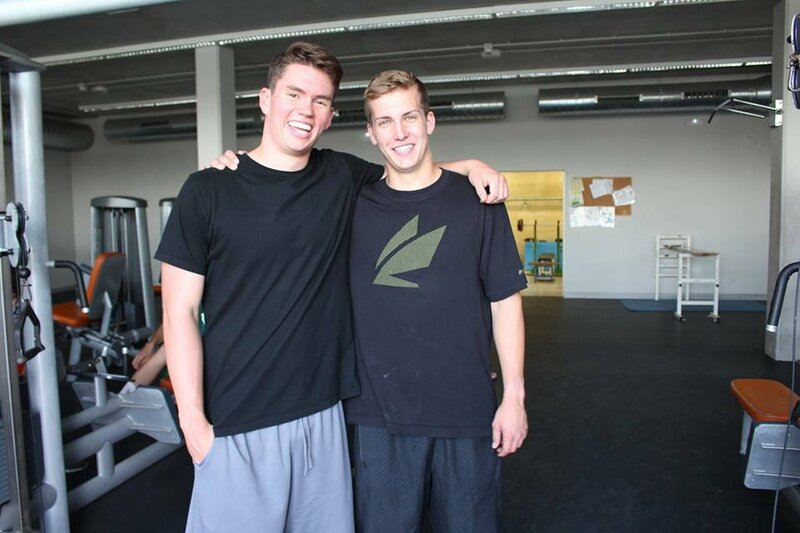 "The practices at Club Nautico were great, and helped us continue practicing at an elite level." When I first arrived in Sevilla, I was extremely nervous about swimming with Club Nautico. I had no clue what to expect, and didn’t know if my Spanish was good enough to communicate with the team. However, after the first practice, I knew it was going to be a blast. The team quickly welcomed me as one of their own, and I felt like part of the team within the first few days. The coaches were great, and helped us understand why and what we were swimming. Manolo, the head coach, was great! He is definitely knowledgeable and knew where to put me and how to help me excel with his training. The team made sure to make us practice our Spanish, and eventually ended up taking us to dinner, and all around the town. The practices at Club Nautico were great, and helped us continue practicing at an elite level. Plus, their outdoor 50 meter pool was amazing to practice in. Looking back, the swimming was one of the best parts of Sevilla. It definitely helped us integrate and learn a lot about the different culture first hand by hanging out and talking with all the swimmers who were our age. I had a blast, and we are still keeping in touch with all the friends we made, and I’m sure we will for a long time! The experience made me want to come back for more. I loved it!. That is how I would describe my experience at SAIIE in one phrase. 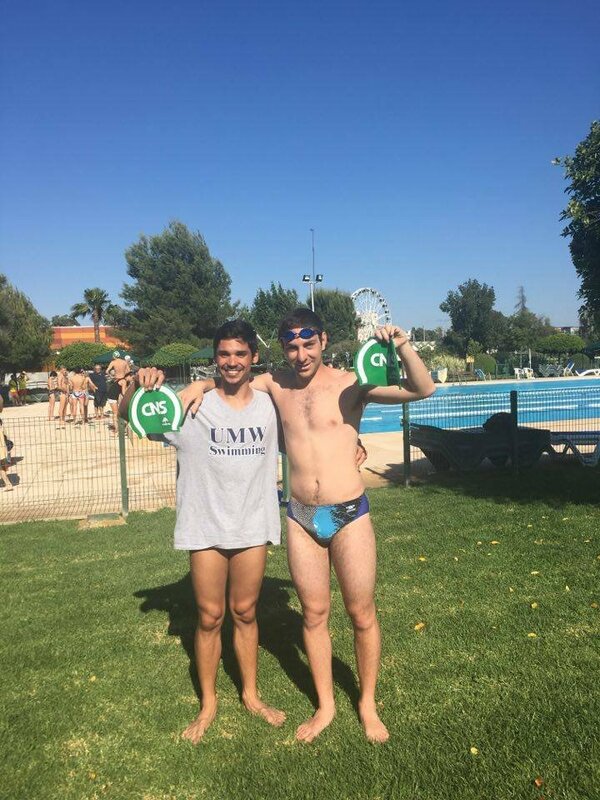 While in Seville, I went to classes and participated in the athlete program as a swimmer. I went with a friend from my home university, and we became best friends. The experiences I had, people I met, and things I saw were incredible. It was the time of my life. I learned so much about culture, other people’s views, and myself. My time at SAIIE is not something I could put a price on. It was worth every penny. I made lifelong friends while swimming there and still stay in touch with many. Swimming in Spain was a very unique experience, and something that was not offered by many other programs. It was one of the highlights of my experience to be able to train there and make new friends. Whether you are a swimmer, basketball player, rower, or anything else, I would participate in this if I were you. You will meet new people and learn new things. It is a great way to immerse yourself in another culture while still staying in shape for competition back home. The practices were very organized and professional. The coach had a similar mentality and method to my coach back home. It was perfect for us as we were trying to get back into shape. There was a wide range of skill levels on the team. There were people who were faster than us, but we were definitely not the slowest. It was a good mix of abilities. I loved getting to know the team. They were very welcoming and fun. I loved everything about this experience. Thank you so much! I enjoyed every bit of this opportunity. In addition to athletics, the entire staff was phenomenal and always willing to help us. The class trips were exciting and inspired me to adventure more. One of my favorite parts was living with a host family. I considered my host to be my second mother by the end of the trip. It is the most amazing thing I have ever done, and I would recommend it to anyone even slightly interested. It is a great opportunity. Challenge yourself and try something new. Adventure in Seville awaits. "I had so much fun at practice, and the 2 hours flew by." Practice ran just like it would at home-very universalized format. 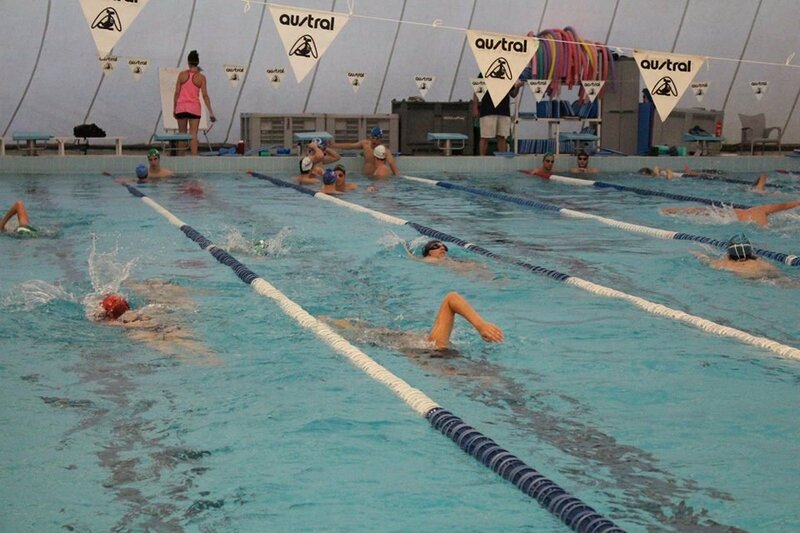 The practices accommodated all different kinds of swimming styles. I liked the sets and I always felt like I got a lot out of practice. The Club Nautico team is very good in Spain. I felt very comfortable swimming with this team. There were swimmers faster and slower than me, both boys and girls. I came into training very out of shape, but training with this team got me back into my rhythm. I loved the team. It took me a few days, but with the help of the swimmers and coaches, I learned their swimming lingo. I had so much fun at practice, and the 2 hours flew by. I just really loved being in a new environment and training in a completely different setting.